MFA in Paper Maché 2nd Annual Symposium, print project, Portland, OR, 2010. Front cover. Hannah Jickling is from the Canadian north and currently lives and works between Portland, Toronto and the Yukon. She received her BFA from the Nova Scotia College of Art and Design (2003) and her MFA (Art and Social Practice), from Portland State University (2010). 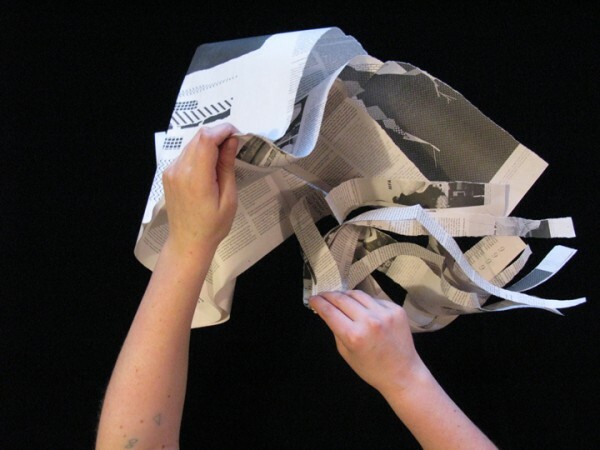 Hannah is head of “MFA in Paper Maché”, a handmade, accredited degree program. Current project interests also include sport, recreation and outdoor education as models for performance and participation. She is currently the artist-in-residence at the Multnomah Educational Service District’s Outdoor School. In recent years, Hannah has shown/presented at Locust Projects (Miami), Transmission Gallery (Glasgow), the Klondike Institute of Art and Culture (Yukon), Dalhousie University Art Gallery (Halifax), YYZ Artists Outlet (Toronto), Dare-Dare (Montreal), the Or Gallery, Access Gallery VIVO (Vancouver), apexart (New York), Portland Art Museum and the SFMOMA (San Francisco). 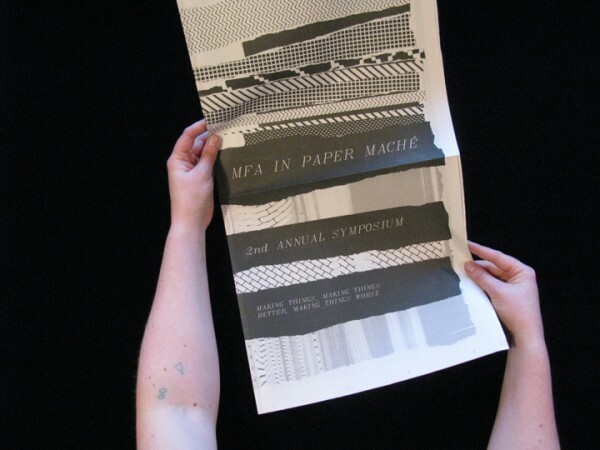 MFA in Paper Maché 2nd Annual Sym­po­sium, print project, Port­land, OR, 2010. Re-purposing.